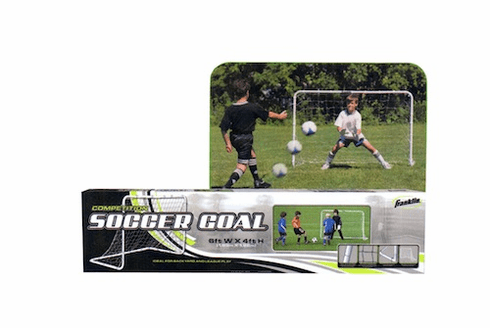 Goal assembles to 6' wide x 4' high x 3' deep. Heavy duty steel tubing, 1.25" OD. Precision fit locking pins for easy and secure assembly. All weather 4" x 4" PE net. 4 galvanized ground stakes. Recommended for training, backyards, league, and club practices.